The bench headed by Chief Justice Ranjan Gogoi was hearing BJP's appeal against the Calcutta High Court order restraining it from holding its proposed Rath Yatras in the state of West Bengal. At the outset, the Chief Justice voiced the opinion that if he were the High Court judge, he would have altogether refrained from entertaining the issue. "Should the courts also do the policing? ", remarked Chief Justice Gogoi. 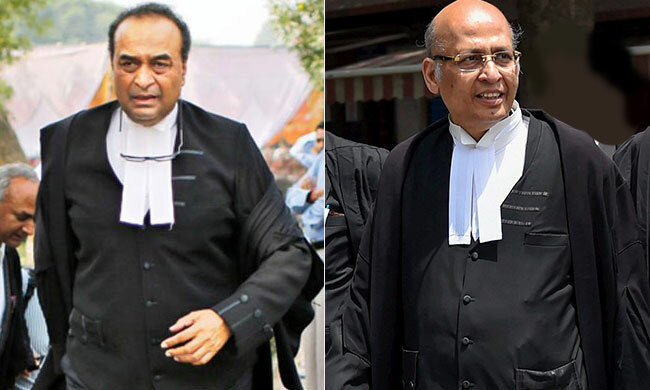 Insisting that the matter assumes significance in context of constitutional rights, Senior Counsel Mukul Rohatgi, appearing on behalf of the BJP, contended that the petitioner's freedom of expression under Article 19(1)(a) is being suppressed by the state prior to the elections and that he is looking to the topmost court of the country to safeguard the fundamental right. Refuting the TMC's claims that the rally may acquire a communal colour, giving rise to a law and order situation, he asserted that the BJP is a responsible organisation and that it is an unfounded presumption that the Ratha Yatra could incite communalism in any manner. In his turn, Senior Advocate Abhishek Manu Singhvi, for the West Bengal government, submitted, "earlier, permission was sought for only meetings and certain other programmes, which we were prepared to approve, subject to the venues being notified. It is the Yatra, proposed to pass across the communally-sensitive parts of the state, that poses the problem...the police in these districts has also anticipated in their reports a potential communal crisis...we are not prepared for it..."
To buttress his argument, he indicated certain statements of some BJP leaders. Countering, Mr. Rohatgi advanced that the said reports are "bogus" and that the proposed procession is in no way communal. The BJP had planned three rath yatras from different parts of the State, with chariots travelling across the State's 42 parliamentary constituencies over one-and-a-half months. On Tuesday, the apex court, while allowing the BJP to proceed with the meetings and other mass programmes, as approved by the state of West Bengal, required it to furnish a revised scheme to the state government in respect of the Ratha Yatra. "It is for the State Government to maintain law and order in the State and the apprehensions expressed in the order will have to be addressed to by the petitioner to the Government in a reasonable manner. We, therefore, propose not to entertain this special leave petition any further and, instead, we are of the view that the same should be ordered to be closed by directing the State Government to permit all public meetings, rallies etc. proposed to be held by the petitioner at different venues, provided adequate and timely information and schedules of such meetings, rallies etc. are furnished by the petitioner"
Insofar as the Rath Yatras are concerned, it will be open for the petitioner to submit a further modified proposal, which meets and answers the apprehensions of the State Government, so far as maintenance of law and order is concerned. Once such a proposal is submitted, the State Government will consider the matter and pass appropriate orders keeping in mind that the present involves a case of exercise of the fundamental rights, inter alia, under Article 19(1)(a) of the Constitution of India. It is in that spirit that we expect the State Government to deal with the matter on receipt of such revised proposal as may be submitted.Any revised proposal submitted by the petitioner will be responded to by the State Government with utmost expedition, keeping in mind that with the commencement of the Board examination of C.B.S.E. and other Boards, the use of loudspeakers etc. may be banned.